We’re really excited about ‘The Five-a-Side Bible’ which we’re developing with Freight Books and 5-a-side.com for an October release. That’s going to have lots of funny stories from the world of 3G, as well as tips from the best fives players in Britain, a five-a-side bucket list and much more. 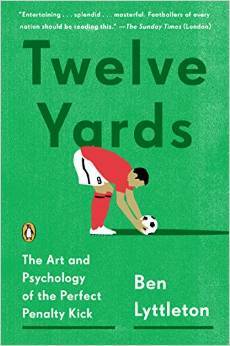 If you play short-sided football, this is the book you’ve been waiting for. Around the same time, we should have ‘PUSKAS: Madrid, Magyars and the Amazing Adventures of Football’s Greatest Goalscorer’ done. We’re working with Freight Books on that, and it’s written by Gyorgy Szlossi, who heads up the Puskas Academy in Budapest, founded the Puskas Award with Fifa and remains a close friend of the Puskas family. 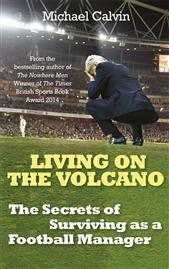 Paul Camillin: The first half of 2015 sees a variety of titles being added to Pitch Publishing’s ever-growing football list​, including biographies, autobiographies and club-specific titles. For those who lament the modern game, and feel somewhere along the way football took a wrong turn, losing touch with fans. 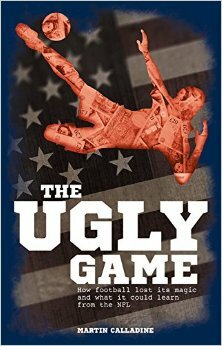 The Ugly Game by Martin Calladine is a passionate, funny book of essays, and sets out to put football right by comparing it, often unfavourably, with American football, a sport, perhaps surprisingly, that’s showing how money need not destroy fairness and competition. Soccer in Stilettos by Liam Newman is a definitive look at the rise of women’s football, telling the inspirational story of how the female sport has slowly but surely stepped out of the shadow of its male counterpart to become the truly beautiful game that it is today. With the future of the sport looking brighter than ever, how did football finally show sexism the red card? 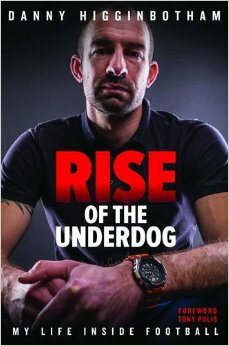 Of the club titles, one is already proving popular with Leeds United fans, and flying off the shelves. Jon Howe’s The Only Place For Us is the A to Z history of Leeds United’s Elland Road home, revealing the stories behind its past uses, famous features and characters – plus fires, gypsy curses and escaped pantomime horses. Using archive research, insiders’ insights and fascinating photos, Jon Howe retraces the intriguing historical journey of one of Britain’s most iconic football grounds. Then on the autobiography front we have Moody Blue, the self-told-tale of former Rangers legend Marco Negri and Luggy, the story of journeyman manager Paul Sturrock. This Yorkshire-based publisher’s small but finely-crafted football list is one of the best around. Current highlights include Adam Digby’s Juventus: A History in Black and White and Roger Domeneghetti’s From the Back Page to the Front Room: Football’s Journey Through the English Media. I think the best, however, may be yet to come. 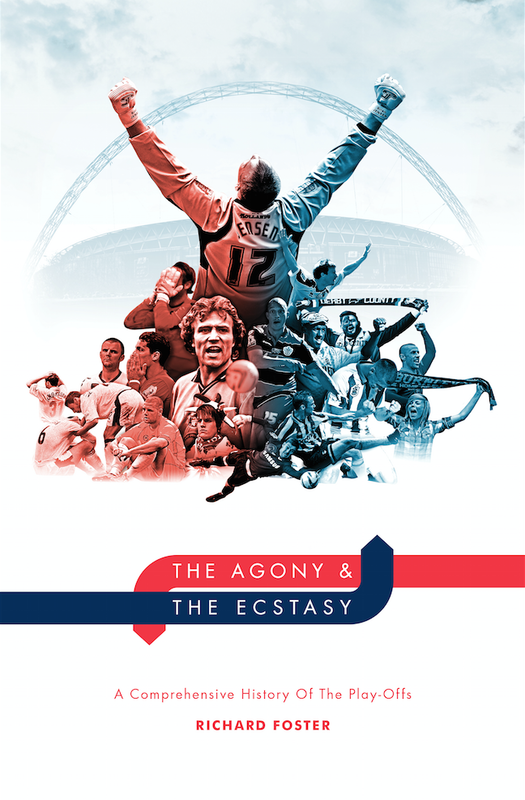 It’s pretty rare these days that you hear of a football book and think ‘Wow, why has no-one written about that before?’ The Agony & The Ecstasy: A Comprehensive History of the Play-Offs by Richard Foster is definitely one of the most exciting ideas I’ve heard in a long time. You can read an extract here. Danny Higginbotham has always been honest. What he lacked in natural ability as a footballer, he made up for in raw passion and commitment. He started his football education under the greatest – Sir Alex Ferguson – at his beloved Manchester United. After a headline-making loan spell in Belgium, he embarked on an eventful career journey, taking in stops at high-flying Derby County, Southampton, Sunderland and Stoke City. Sharing Premier League dressing rooms and pitches with some big names, he experienced both sides of the modern game – from the gut-wrenching agony of relegation to the champagne moments of reaching Wembley. Along the way, he worked under charismatic bosses like Jim Smith, Harry Redknapp and Roy Keane – who delivered the most bizarre team talk he’s ever heard. At Stoke, he learned about the team-bonding tricks of Tony Pulis. As honest and whole-hearted as his career on the pitch ‘Rise of the Underdog’ is the entertaining inside story of how an ordinary lad worked his way up the professional ladder, learning the lessons it takes to survive at the highest level of the English game. Sergio Aguero is one of the top strikers in world football, but his rise to superstardom hasn’t always been smooth. Born into poverty, his life story Sergio Kun Agüero: Born to Rise is fascinating and a real story of talent, desire and the guidance of good people helping him to overcome adversity. The book features a foreword from his best friend, Lionel Messi, and includes colourful dressing room revelations about his fellow countryman and other stars he’s encountered on his journey. This is a book every Manchester City fan will want to read, but also any football fan who is fascinated by that elite group of world greats who were touched by destiny and born to rise. LEON OSMAN has been at Everton FC since he was ten years old and in that time has witnessed major changes at the club and within football. A fixture in the Blues’ team for the past decade, Osman’s humour and thoughtful nature shines through in his revealing and entertaining autobiography. Osman provides a unique insight into Moyes – the man and his methods – as well as many of the big personalities he has played alongside, such as Duncan Ferguson, Wayne Rooney, Tim Cahill, Thomas Gravesen, Mikel Arteta and Phil Neville. Filled with entertaining tales and anecdotes from his life at Everton, Osman’s story is fascinating and inspiring.